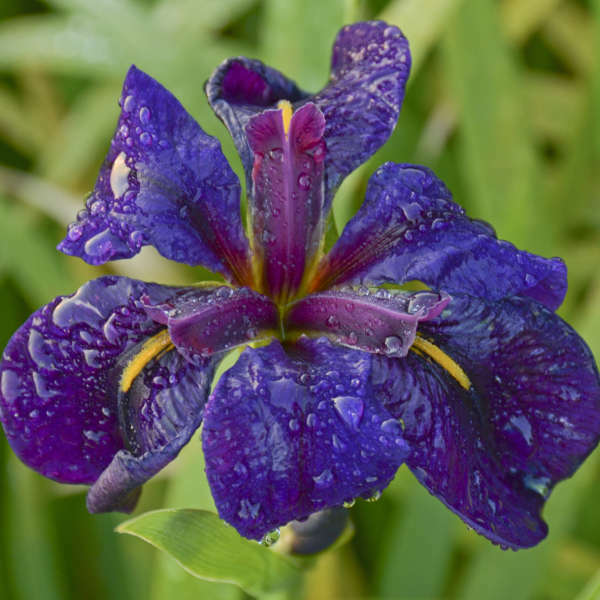 Iris 'Black Gamecock' | Walters Gardens, Inc. If you’re new to Louisiana Irises, this is the right place to start! You can’t go wrong with this top award winner. 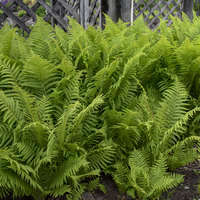 It is known for having “outrageous vigor”, multiplying quickly when sited properly in consistently moist to boggy soil or shallow water. Blooming reliably each year, huge 4-6” blossoms open flat to display their regal velvety deep purple flowers with the narrowest gold signal on each petal. The bloom time varies by climate, but typically ranges from late spring into midsummer. 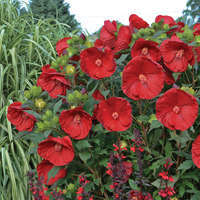 This is certainly one of the most beautiful of all native cultivars! Louisiana Irises typically bloom after both Siberian and Tall Bearded Irises have finished blooming for the season. 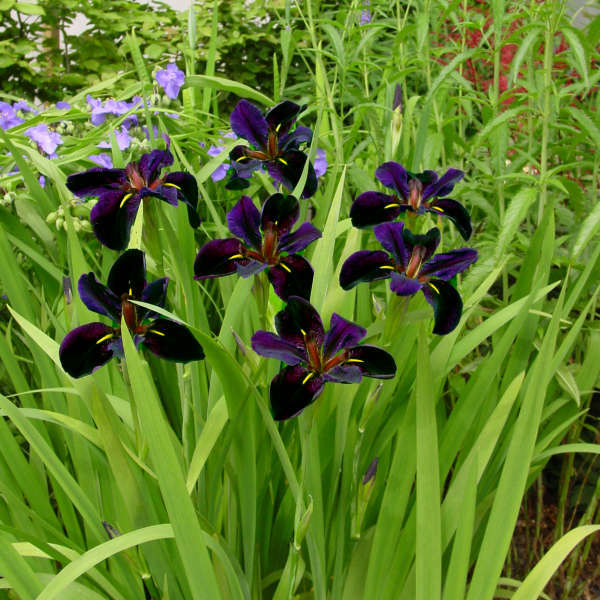 Louisiana Irises are at their best when grown in wet to boggy soil or in shallow water up to four inches deep. They tend to bloom heaviest when grown in water. 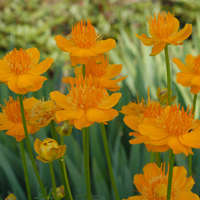 However, they can also be grown successfully in the garden as long as a consistent source of moisture is available. The soil should be acidic, as the plants will be more pale in color and overall weaker when grown in soil with a higher pH. 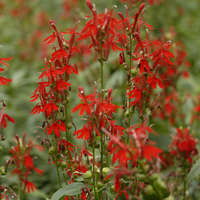 These plants are heavy feeders, especially in zones where the growing season is relatively short. Provide a dose of liquid fertilizer on a regular schedule for best results. 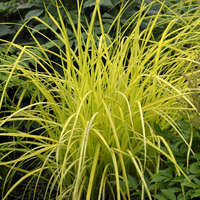 Provide pine straw or other mulch in the fall, but be sure to pull away the mulch early in the spring to prevent rot. 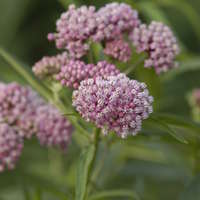 As their name implies, these plants are native to Louisiana and the southern states. However, they are also cold hardy all the way to zone 4. 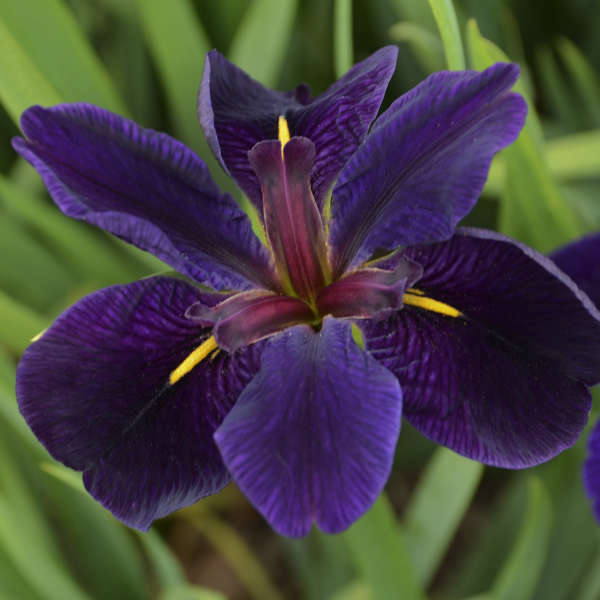 Louisiana Irises have one of the broadest growing ranges of all perennials, from zones 4-10.